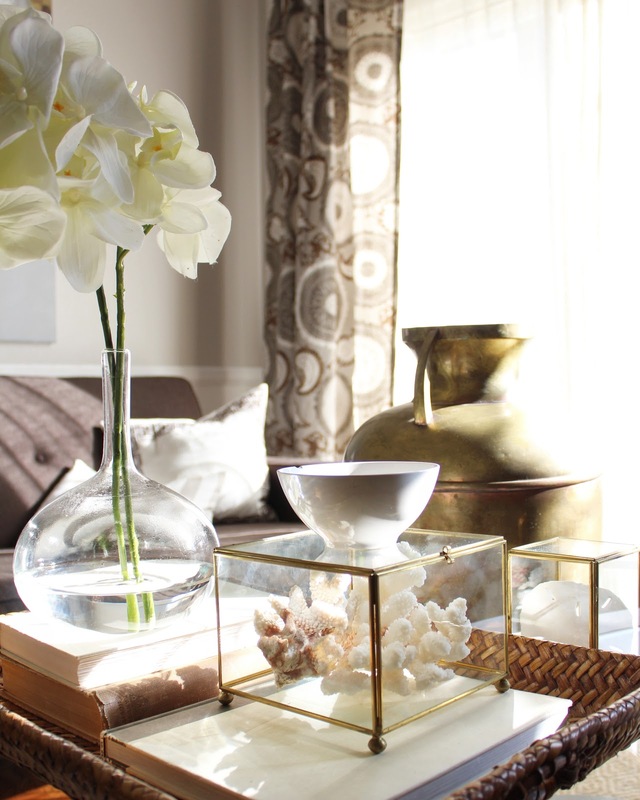 There are TONS of versatile home decor pieces that we all know and love like baskets, trays, vases and so many more. Today, though I want to talk about one. It’s a simple accessory that is both beautiful and functional. It’s an item that is probably overlooked, let alone written about. 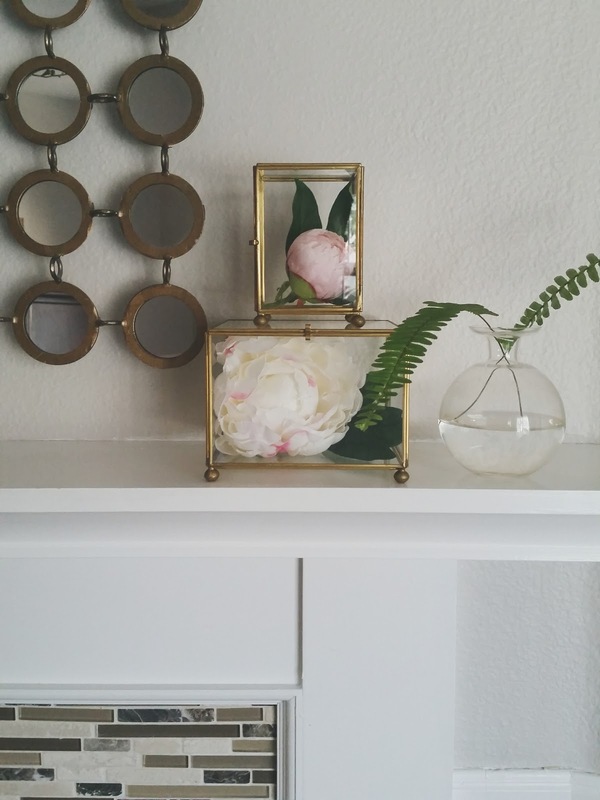 This accessory is my go-to for styling vignettes, and you know how much I love a vignette. It’s the glass box. Yup. The glass box. I know what you’re thinking: LAME! But seriously it really is! 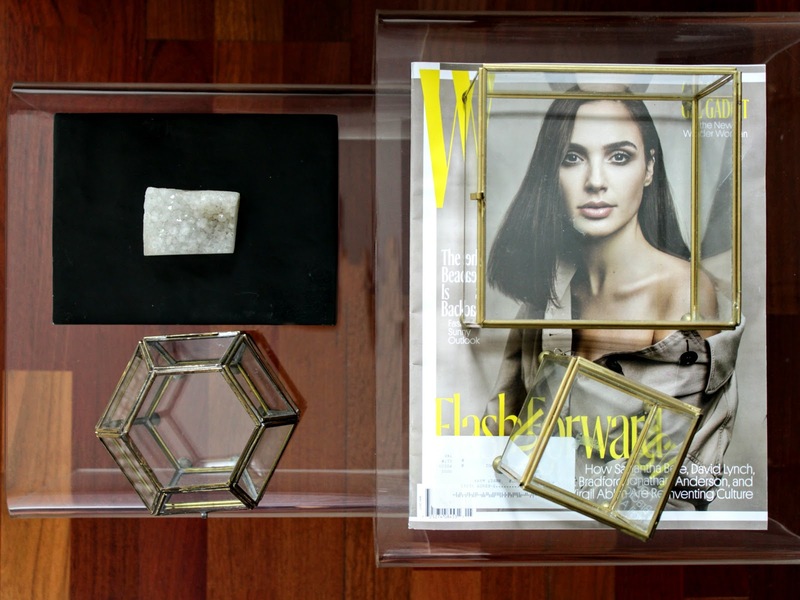 These little glass treasure boxes have been everywhere in my house! And I love them! Recently I styled them up on my mantel. 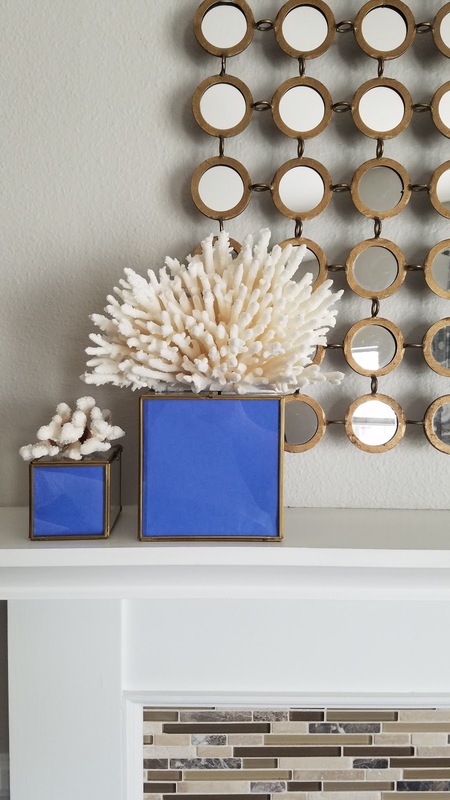 I used the boxes as stands for pieces of my coral. I was trying to recreate this look. I also wanted to add a bit of color to my mantel, so I just added some construction paper to the inside of the boxes and whoa, they looked so cool and totally different! I love simple things like that. I’ve used these things all over the place. They’re so useful! Spring of last year. I just threw in a faux peony. Looks like a little framed piece of art. Summer of last year. The boxes kept my coral safe. 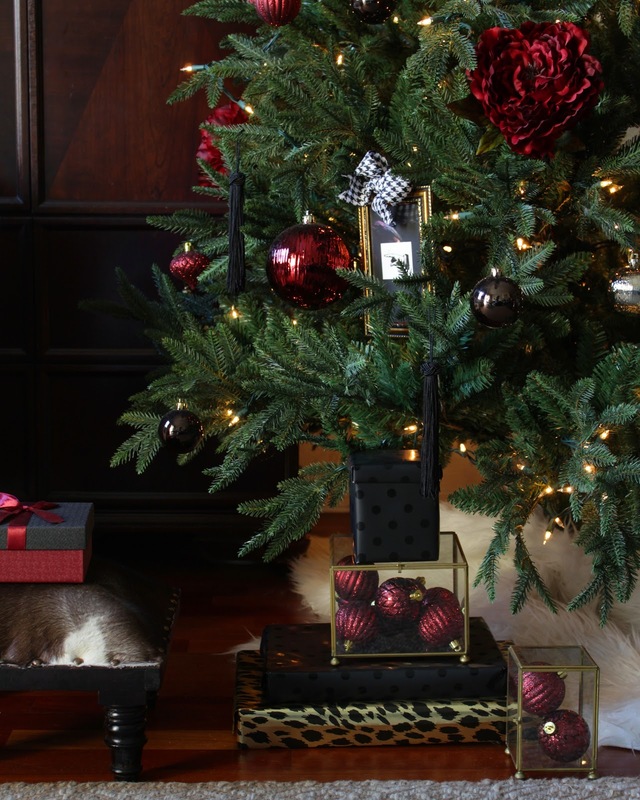 In the winter, the boxes were filled with ornaments and placed under the christmas tree. Recently, I decided to fill them with origami. 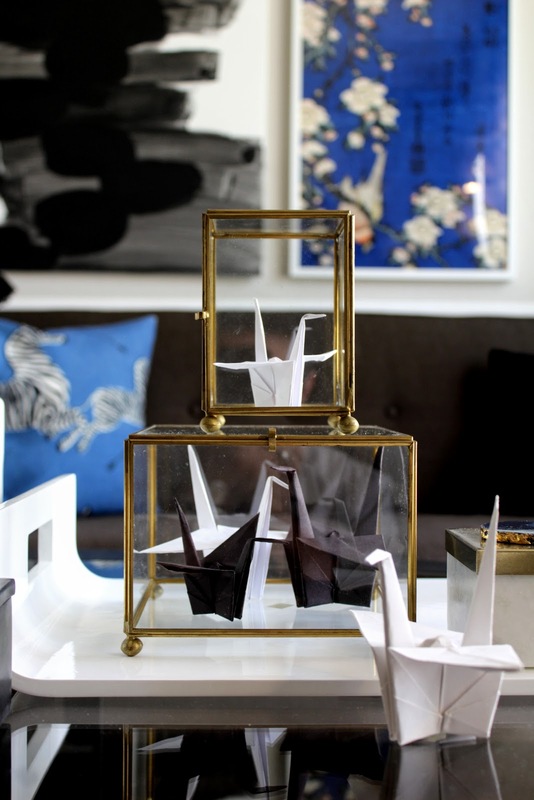 The glass boxes are housing some paper cranes I folded myself. Looks cool, right? My glass boxes are vintage and I purchased them from “Through The Porthole” but I have seen some in many different places. I rounded some up for you in case you are interested in adding a few to your home. The possibilities are endless with these little boxes. You can stick all kinds of things in there. Or you can use them to prop up some accessories you have at home. The moral of the story is, BE CREATIVE! Think "outside the box" 😉 and above all, color is your friend! 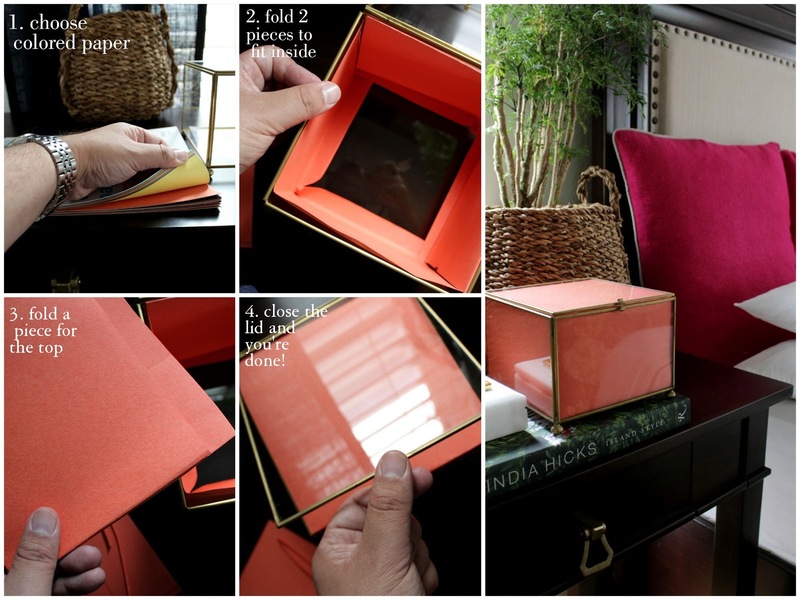 Using simple tactics to change the color of items using construction paper, fabric or paint will give you a whole new look! I hope that with this post I helped spark your imagination to come up with some low cost decor ideas 😀. What Is My Home Decor Style?